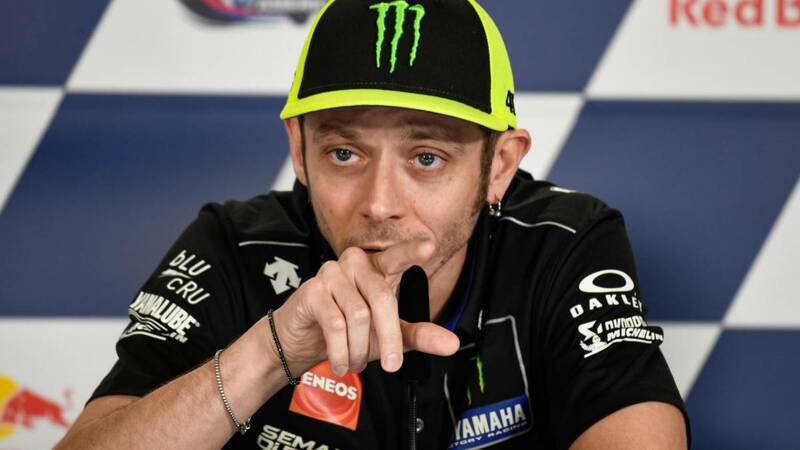 Home Moto Rossi: "Márquez is invincible here, but you have to try"
Rossi: "Márquez is invincible here, but you have to try"
"Can it be harder now to win even than in the past?" My answer is yes, "This is your clue and it can be even faster," he says. Do not hurt items to Valentino Rossi when it comes to recognizing Marc Márquez's favoritism at the COTA circuit. The Repsol Honda has been winning in the Texas track uninterrupted since 2013, which does not mean he will find a way to beat him. His second place in Argentina gives him wings to try: "Based on what his numbers say, Márquez is invincible on this track, but you can not leave the house thinking that." You need to try ". The company will not be easy or the Italian or anyone: "Can it be harder now to win even than in the past?" My answer is yes. In Argentina he made a weekend of the highest level, he did not make a mistake and his distance from the persecutors This is his track and, because of how he is driving and how strong the Honda is, he can be even faster, saying that his rivals have also improved and we have to try ". Nine times asked world champion if it was frustrating to cross the finish line in Argentina 10 seconds behind the winner, to which he said: "I do not know if it's the right word, but it's true that it's not beautiful. There are cases where you have to focus in oneself and in trying to better pray". On whether his plan B wait for Jerez, believes that "the Yamaha in recent years has been better in Austin than in Jerez, do not wait to get to Europe, you have to work well, as in Argentina, and get ready to the race ". Y at the time of describing COTA, he stated that" it is a technical and difficult track, in a way it reminds me of Silverstone, it demands a good physicist because it has 20 curves, all different from each other: there is a club of first gear, curvones, changes of direction It is a complicated circuit, with many secrets to discover and many points to lose time. It is a shame that it has so many potholes, because it is a fantastic circuit and recently built. They have tried to solve it in previous years, but it has not worked. "